4-Word Review: Old actress stays young. Barry ‘Dutch’ Detweiler (William Holden) is a struggling film director looking to make a big splash by trying to convince a reclusive Greta Garbo-like actress (Marthe Keller) to come out of retirement and star in his next big picture. He however, has trouble getting into contact with her as she resides on a secluded island estate in Greece. Finally after giving his script to her plastic surgeon (Jose Ferrer) he is able to meet her, but finds things to be on a strange side as she looks almost ageless and living with an authoritative Countess (Hildegard Knef) and personal secretary (Frances Sternhagen) who treat her like she is a child and refuse to let her out of their sight. 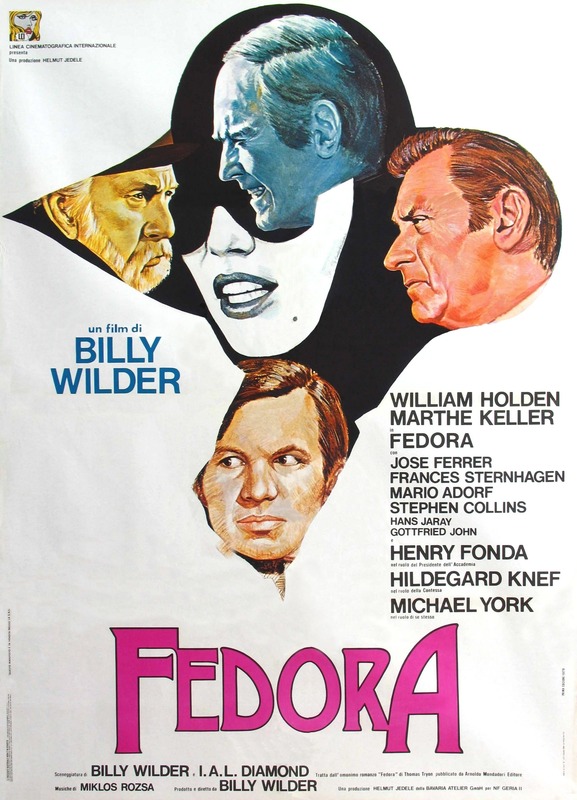 As Barry investigates further he unravels the dark secret that the three share and the shocking reason why Fedora never seems to age. Based on a short story by actor-turned-author Tom Tryon this was director Billy Wilder’s second-to-last film and as legendary as he is it was surprising to me why this film has never been released to DVD despite the fact that all of his other ones have. However, after viewing it the reason became clear as this is a real dud and a great director’s worst movie. The plot is poorly thought out and leaves a bundle of loopholes. In fact the believability is so low that it’s hard to get into it at all and the big twist that occurs near the middle where Fedora’s secret is exposed, which is that the old, ugly Countess is the real Fedora while the woman masquerading as the young looking one is really her daughter, is not surprising as I had suspected it from the very beginning. The acting and melodramatics are so much on a goofy soap opera level that the studio ended up dropping the film from its distribution when test audiences were found laughing in all the wrong places. The island residence used to represent Fedora’s secluded home appeared rather old and rundown and the interiors were a bit cramped and not looking as luxurious as one would expect for a rich actress and Holden’s character is able to invade the place a bit too easily. 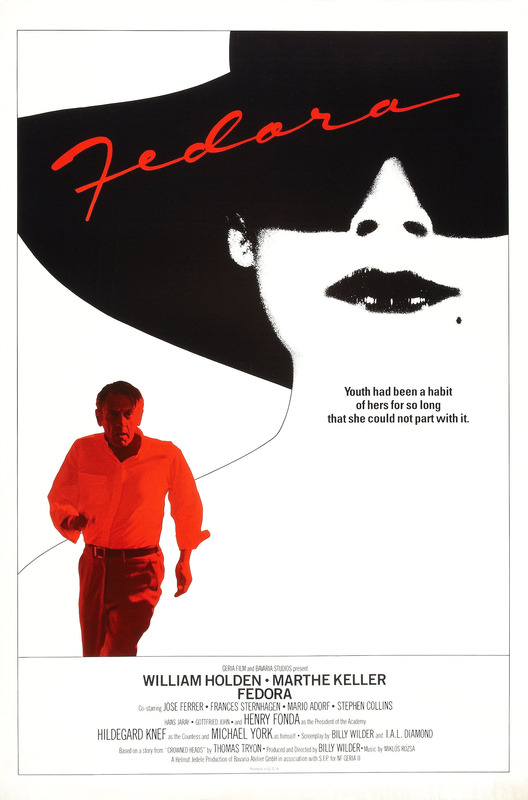 I also thought the idea that the young Fedora would be constantly seen wearing white gloves to supposedly to cover up how young looking her hands were and thus tip people off that she really wasn’t an old woman at all didn’t make any sense as the daughter had already made three movies under the guise as being the old Fedora and it is impossible to believe that she would have been allowed to wear gloves through all of those roles. The part where the Holden’s character gets knocked unconscious is equally stupid. For one thing he is not taken to a hospital, but instead back to his seedy hotel where he lies in bed for a whole a week before finally, miraculously regaining his consciousness. However, if a person is knocked out for that long a period it almost inevitably leads to a coma and how where they able to feed him and give him water? A hospital could’ve hooked him up to an IV that a dingy hotel wouldn’t have, which most likely would have had him dying from dehydration long before he makes his magically recovery and for someone who was hit over the head so violently you would expect some bruising, swelling and cuts and yet Holden wakes up without a single scratch on him! The plastic surgery angle is another mess. Supposedly the whole reason Fedora got her daughter to pretend to be her is after she had some experimental surgery done on her face that became botched and made her too ugly to look at and yet one can see far worse plastic surgery disasters by observing many of today’s actresses attending your average Hollywood gala. Since the movie gets so over-the-top with its melodrama anyways they really should have made her face much more grotesque and thus given the viewer and film a lasting image. Initially Marthe Keller was expected to play both the young and older Fedora, but when it was found that she had an allergic reaction to the old age makeup that was used Knef was then hired to play the part of the countess. Since their voices did not sound similar German actress Inga Bunsch dubbed for both of them, but her excessively deep voice gets really annoying to listen to. After watching this film I came to the conclusion that Wilder had fallen into the same trap as his famous Norma Desmond character from Sunset Boulevard as he seems to be clinging too much to sentiments and a filmmaking style from a bygone era that no longer has relevance and unfortunately embarrasses himself in the process.